Hotels are in an increasing speed losing control of their guest communication to third parties. Loopon's live chat is an easy addition to your website that will help you see the percentage of direct bookings increase. Start the guest dialogue earlier and see your direct bookings increase. By starting a personal connection with guests from the very start and by being there in case they need your help, you will avoid potential customers abandoning your website & easily convert them into direct bookings. Adapts to your hotel's profile, your team and your visitors. The design of the chat is customisable in line with your hotel's profile and every team member can set their own personal welcoming message and avatars. Furthermore we let you configure automatic replies for different language versions of your homepage to cater guests from different countries. Always available for your guests. 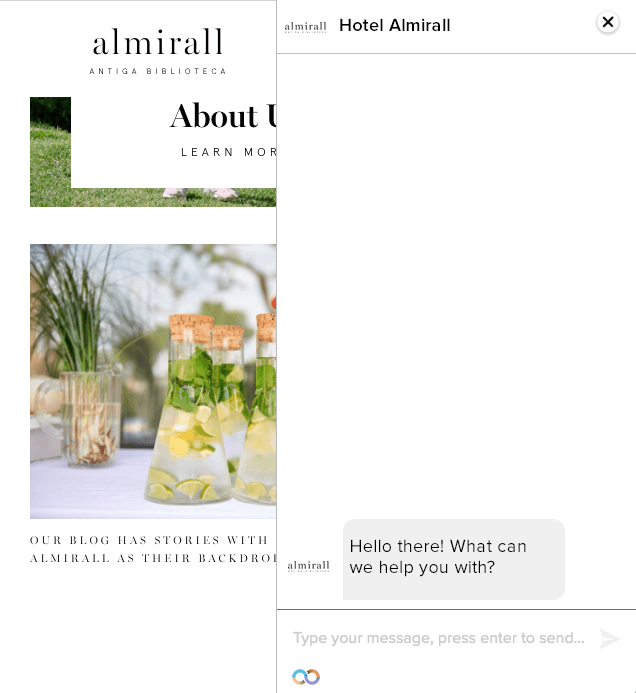 We make sure that you don't miss out on any new chat event by sending you an instant SMS or email notification when new potential customers want to chat with you. 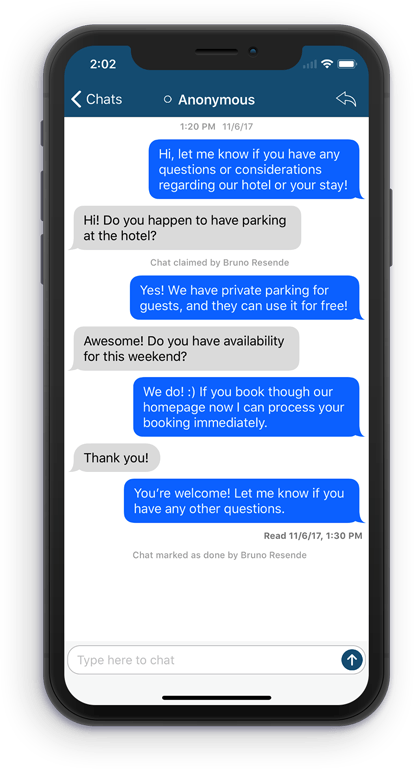 And if no one in the hotel is around our chatbot will make sure to collect your visitors' contact details so that you can get back to them later.